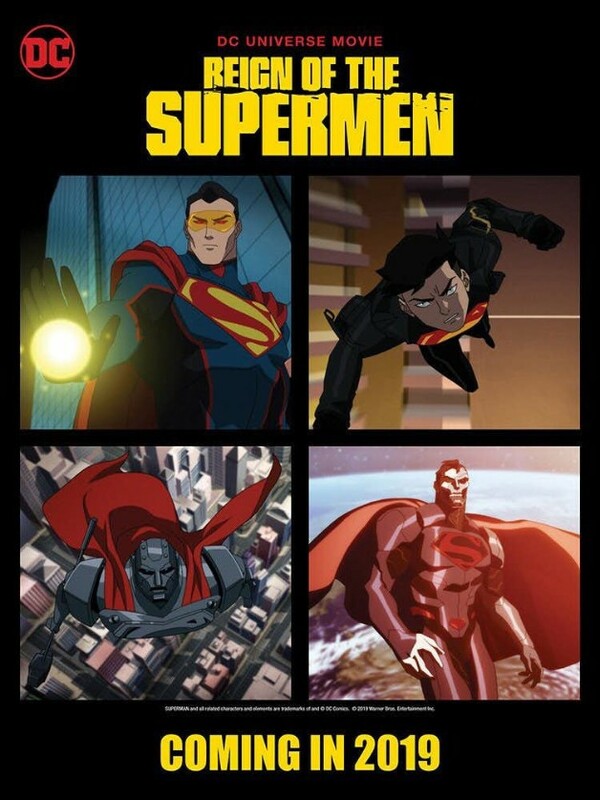 Brief Synopsis – Following Superman’s death, 4 new heroes appear in Metropolis all claiming to be the real Superman. My Take on it – As a fan of the DC/WB films, I have been looking forward to this film for quite some time. This story has been done a few times before in the various mediums and this one give sa slightly different spin to the events and it works quite well. They give us a very interesting perspective on how the world and ordinary people chose to move forward following the loss of one of their greatest heroes. They are able to show how the loss of Superman affects people on both a personal and global level. I really liked the way that they showed how ordinary people step up in their choice to defend others and it is done in a pretty convincing manner. As with most films in the WB/DC series, they have a great voice cast that help bring life to these characters and manage to keep them feeling quite realistic. They also manage to add some nice twists and turns into the storyline that also helps keep things intriguing form start to finish because you never know what is gonna happen next despite the fact that the overall story isn’t original but the internal one still is. Bottom Line – Interesting view of how the world moves on following the death of one of the most powerful superheros. They do a nice job showing how the people of Earth are affected by this loss on both a personal and global level. The way they show how ordinary citizens choose to defend the rights of others also works quite well. Great voice cast as always with DC/WB films. This story has some nice twists and turns along the way that keep it interesting throughout. Recommended!